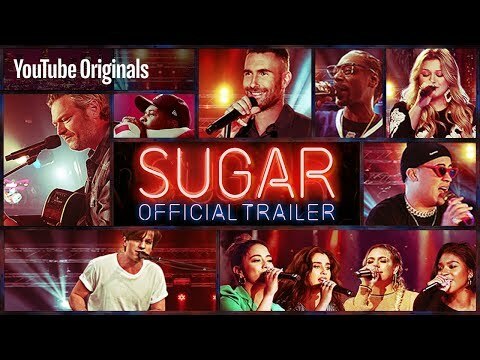 YouTube Original series Sugar, Executive Produced by global superstar Adam Levine, will launch on YouTube Premium on August 15, 2018. Special guest talent includes Maroon 5, Blake Shelton, Snoop Dogg, Charlie Puth, Kelly Clarkson, A$AP Ferg, 5th Harmony and Bad Bunny. The new series is inspired by the Maroon 5 music video 'Sugar' that boasts 2.5 billion views from around the world. The eight episode series features a new artist each episode as they surprise some of their biggest and most inspiring fans who have given back to their communities in empowering ways. During a pivotal personal moment in their life, each fan is given a surprise of a lifetime as their heroes gatecrash their special events and give exclusive pop-up performances that pay-it-back in extraordinary style. Sugar Season 1 was released on Youtube Premium 251d ago in the US. Notify me when Sugar Season 1 is available.